MAS is aiming to get its euthanasia rate under 10 percent. As Memphis Animal Services (MAS) volunteer Jeanne Chancellor makes her way down the aisle in the shelter's stray area, dogs of all shapes and sizes — a dangerously skinny white pit bull, a fuzzy chow chow, a hearty tan lab mix — jump up onto the metal bars of their kennels, tails and tongues wagging, as if they're saying "Take me home with you!" But statistically, many of these dogs won't make it out of the shelter alive. Many will be euthanized as MAS makes way for more and more animals being surrendered by their owners or picked up from city streets. As of July 2016, MAS had a 34 percent euthanasia rate, which is down significantly from years past, but it's still much higher than the shelter's new administrator Alexis Pugh wants it to be. Thanks to a new partnership with a nonprofit that helps shelters across the country move toward a no-kill model, Pugh believes that rate can be lowered to 10 percent. The local animal welfare community has been pushing MAS to adopt a no-kill model for more than a decade. But past directors — most recently James Rogers (director from 2012 to 2015) and Matt Pepper (2010 to 2011) — either failed to even acknowledge those requests or hinted that such a standard just wasn't doable in Memphis. Pugh, who has only been on the job since May, has already made the first step toward significantly lowering the shelter's euthanasia rate. She's agreed to work with a nationwide charitable consulting group, Target Zero, which aims to bring city shelters to "zero kill," which they define as a 90 percent save rate, in less than three years. "At an open-admissions public shelter, there will always be some euthanasia. But it will be advanced medical cases and large dogs that are too aggressive to safely rehabilitate," said Dr. Sara Pizano, program director at Target Zero. 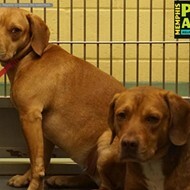 Target Zero has already had success in other large city shelters, and they'll soon be working in Memphis to identify some changes MAS, the city, and the animal welfare community can make to save more animals. "Our goal is saving 90 percent or better, and we brought Waco, Texas, there in two years. We got Huntsville, Alabama, there in one year. And we got Indianapolis there in less than two years for cats, and we're close on dogs," Pizano said. The first step will be a large public meeting at the Benjamin L. Hooks Central Library on Monday, October 10th, where representatives from Target Zero will introduce themselves to the local animal advocacy community and outline a few things they've done in other cities. "We explain the old beliefs [on running an open-admissions shelter] and today's best practices. We do this open meeting because we want people to support the shelter. We want to show the community where they fit in and what they can do," Pizano said. 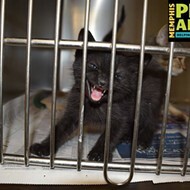 For years, many in the animal welfare community have referred to Memphis Animal Services as a "high-kill shelter." And the statistics certainly backed that up. In 2011, under former administrator Matt Pepper, the euthanasia rate hovered between 75 and 80 percent. A couple of years later, under the most recent former administrator, James Rogers, that rate dropped to around 59 percent. But while the number of animals being killed was reduced during Rogers' tenure, so were the number of animals being taken into the shelter. Rogers was often accused by various members of the local animal welfare community of deliberately taking in fewer stray animals in order to lower the euthanasia numbers. "The easiest way for a shelter director to lower its euthanasia rate is to bring in fewer animals, and as a result [of that being done here in the past], we now have packs of stray dogs running through neighborhoods," said Cindy Sanders of the local animal welfare group, Community Action for Animals. "When you stop the field operations for three years, then the animals are just out there." While both of the above-mentioned directors publicly expressed an interest in lowering the euthanasia rate, neither went so far as to actually attempt to bring that rate as low as 10 percent. "I can't speak to why someone would think it's impossible, but I can say that I've seen it done in other communities that are similar to ours," Pugh said. "I'm not going to focus on what can't happen. I want to think about what can and keep striving for it every day." Unlike Rogers, who had previously worked in management at the U.S. Postal Service, Pugh has a background in working with animal organizations. 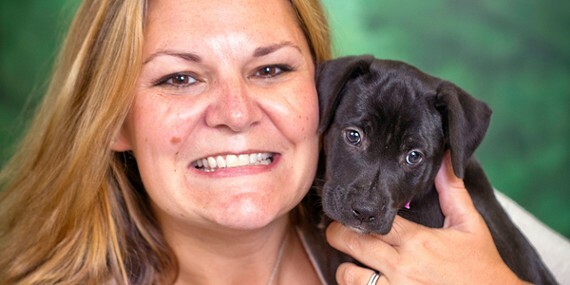 Before coming to MAS, she served as the executive director of Mid-South Spay & Neuter Services and the Humane Society of Memphis and Shelby County. "We have a mayor who cares how the shelter is run and a new director, and they're both looking for ways the shelter can be a better facility. We haven't had that in decades," said Sylvia Cox, coordinator for local shelter reform group, Save Our Shelter. Despite her willingness to work toward a no-kill model, Pugh already has her critics. The September MAS Advisory Board meeting turned contentious after several in the audience brought up a story of a three-month-old puppy that had been euthanized. An online petition is already calling for her removal, claiming she hasn't made change fast enough. "I'd only been here two months, and there were people calling for Mayor Strickland to get rid of me. When we're talking about moving the Titanic, we're talking about a massive operation with many moving parts," Pugh said. "There are processes that have to change before we start seeing desired outcomes." One of the guiding forces for those process changes may be Target Zero. 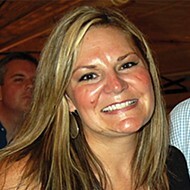 Shortly after she took the job at MAS, Pugh was contacted by the organization. Memphis had been on their radar for some time, but they'd hit roadblocks when trying to contact Rogers. "We had several people tell us about Memphis and the need for help. We look for open-admissions shelters that are struggling, but we were never able to connect with the old director. When Alexis came on board, we reached out to her, and she was very positive about having us come in. That is the key. We can't force our way in, and we don't go where we're not wanted," Pizano said. Pugh said she happily accepted Target Zero's request to help. After all, she'd already begun making some changes on her own. She's been tweaking various policies at the shelter, and she's currently rewriting the shelter's euthanasia policy. "What we found is that when mistakes were happening, the policy was always brought up as the reason. The policy was bad, and there was confusion, or the euthanasia procedure wasn't clear," Pugh said. "So we started from the ground up with a consensus from a team of five staff members who participate in the euthanasia process, because I want a policy that is bulletproof. No one can say they didn't understand it." Pugh has also made a change to the form pet owners fill out when they wish to surrender their animal to the shelter. 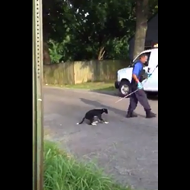 Before, the owner simply had to check a box if they wanted MAS to euthanize that animal. Now, the owner must let MAS know why they're requesting to have the animal killed, and they must sign for the service. On October 1st, MAS ended breed labeling, which Pugh believes will increase the chance of adoption for some dogs, like pit bull or German shepherd mixes, which are often mis-identified or discriminated against. She's in the process of collecting brochures that tell pet owners how to find cheap or free pet food or how to apply for a CareCredit card when they can't afford vet care. 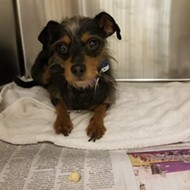 They'll soon be available in the shelter lobby, and if a pet owner comes to the shelter to surrender an animal simply for lack of funds, shelter staff will hand them a brochure to help prevent them from surrendering that animal. "There's a long list of small changes we're making that all add up to making us better at what we do," Pugh said. Such changes to shelter policy are one of the biggest recommendations Target Zero makes when they come to a city and assess how to get the shelter to a 90 percent save rate. They also recommend changes in city ordinances that may affect animals negatively. "We've attempted to update ordinances in 10 communities, and we've passed all 10. We are very serious about educating our elected officials on best practices," Pizano said. For example, some cities have licensing laws on cat ownership or laws against cats roaming at large. But a big part of Target Zero's initiative is aimed at changing the way cities deal with stray cats. Since many cat owners allow their cats to roam freely outside, Pizano said cities need to focus on trap/neuter/release programs rather than sheltering free-roaming cats. "We've always told the public, if you see an outside cat, they must be lost. Take them to the shelter. Now we know differently. Most people leave their cats outside, and they're not lost. They're healthy. So we need to sterilize them and put them back," Pizano said. Such measures free up critical shelter space and, thus, lowers the euthanasia rate since most animals are killed to make space. Pugh said she does plan to get a trap/neuter/release program going by the first quarter of next year, but she's currently trying to fill a few vacancies in the shelter clinic. Another suggestion from Target Zero deals with targeted spay/neuter programs. Memphis already has a law requiring pet owners to spay or neuter their pets, but because the procedure has a price tag, many in low-income communities simply cannot afford to get their animals fixed. "We need to convince our elected officials to subsidize spay/neuter for fixed-income pet owners who qualify because there is a direct link between doing that and decreasing shelter intake," Pizano said. Other ideas Target Zero will be pushing here include encouraging more people to foster pets and hosting more off-site adoption events. After the town hall meeting on October 10th, the group will give Pugh a written assessment, and if Pugh expresses an interest in Memphis becoming a Target Zero Fellow City, they'll form an official partnership and begin work to lower the euthanasia rate within three years. Other Fellow Cities include Nashville, Baton Rouge, Cincinnati, and Pensacola, Florida, among others. 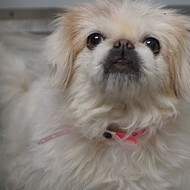 Pugh knows that she cannot save the shelter by herself. She said it will take a serious effort by everyone in the animal welfare community — a passionate group that doesn't always agree or get along. "It's going to take some sort of harmony, some sort of agreement to better segment their work. I've heard stories where this person wants to pull this dog [from the shelter], and this other person also wants to pull that dog, and they're mad because each wanted that dog first," Pugh said. "I'm thinking, we have many other dogs for you to choose from. Please don't fight over this one dog." Many in the local animal welfare community quickly grew impatient when Pugh didn't turn the shelter around overnight, but, she said, in order for Target Zero's work to succeed in Memphis, the entire community will have to come together and help out. "There are some people who feel like Alexis isn't getting enough good stuff done fast enough, but I believe most of those people are pleased that the city is partnering with Target Zero," Cox said. "I don't see how anyone can criticize that." Sanders agrees: "I hope everyone comes to this meeting [on October 10th] with an open mind and is willing to listen to what is said. MAS has been broken for 80 years, and Alexis has been here about 80 days. A system that's been broken for 80 years isn't going to be turned around in 80 days, and I hope the animal community takes that into consideration." Pizano said in-fighting in animal rescue communities is common all over the U.S., and Target Zero has had success in what she calls "broken communities." "What we tell people is we know the power of collaboration. Jacksonville [Florida] was a broken community saving 30 percent of their animals, and three organizations came together and said 'Let's leave this bad blood at the door and capitalize on our strengths together.' The only reason they've been in the 90 percent save rate for several years now is that collaboration," Pizano said. "They checked the drama and the history at the door. Everybody needs to check their egos at the door and say, 'We're here to save the animals, so let's figure this out together.'" Three Animal Shelter Employees Suspended for "Multiple Infractions"